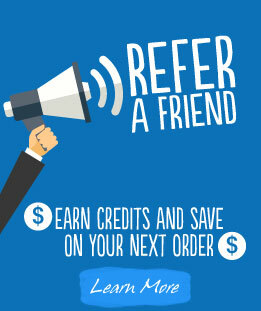 The Flexcin Maintenance Formula is intended for customers wishing to continue with the Flexcin regimen after finishing with the Load-Up Formula. If you're a new Flexcin user we recommend you get started with the Load-Up Formula to experience the fastest results. 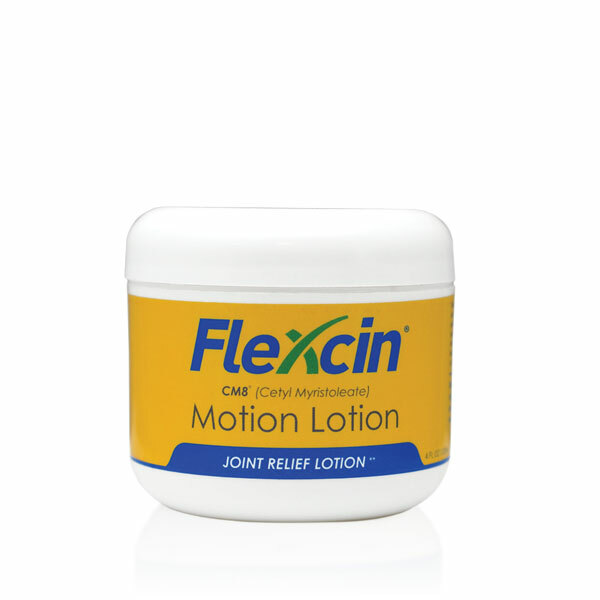 The Flexcin Maintenance Formula helps to sustain the steady supply of joint-nourishing ingredients to the body. From Anonymous of Santa Cruz, California on 5/28/2017 . 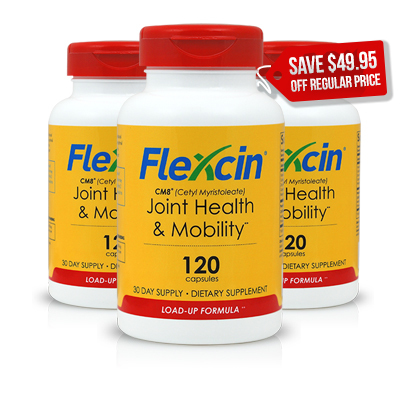 I've been using Flexcin for many years now, since finding it as the mostly highly rated osteoarthritis formula, via an exhaustive web search. Glucosamine/Condroitin formulas alone did nothing for me. I've been virtually pain free with continuous use as a daily supplement. HIGHLY recommended! From AK of Tampa, Florida on 6/8/2016 . From Ann Byson of Salinas, California on 2/18/2016 . 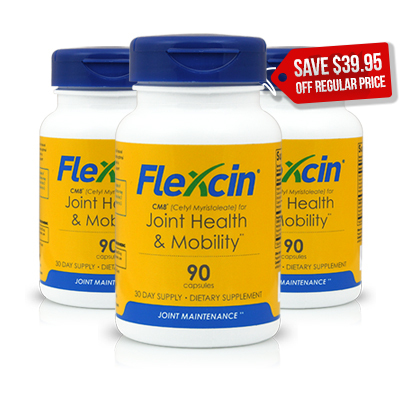 I've been taking Flexcin for a couple of years and the joint pain I had in my hands has greatly improved. If I stop taking it for a few weeks, I can telll the difference. From D Kattar of Bowling Green, Kentucky on 1/6/2015 . This product is excellent. It really does eliminates the pain of arthritic joints and inflammation. I highly recommend this product to those who are suffering. It takes a few weeks to see a difference. But, definitely you will see it in a month or so. Always, keep it in your system. I ran out and after a week or two the pain returned. I got back on it and it went away by doubling up on it for about a week. 10/6/2016 – Are there any side effects? Response From Flexcin International: Throughout major clinical studies, used by doctors and hundreds of patients, there are NO KNOWN ADVERSE SIDE EFFECTS – ONLY POSITIVE RESULTS. Again, this is another area where the Flexcin® formula differs from drugs and medications that have terrible side effects on the liver, kidneys, stomach and other vital organs. 4/1/2016 – Will Flexcin interact with any medications I may be taking? Response From Flexcin International: Many of our customers have reported great success using Flexcin along with prescription medications. Flexcin is safe to take in conjunction with other supplements and medications. However we always recommend you check with your physician since everyone's system is different. CM8® (Cetyl Myristoleate), Glucosamine Sulfate Potassium, Methylsulfonylmethane (MSM), Hydrolyzed Collagen Type II, Peppermint Leaf Powder, Bromelain, Enzyme Blend (Protease, Lipase, Amylase, Cellulase, Invertase), Bororganic Chelate. Inactive Ingredients: Maltodextrin M100, Mycrocrystalline Cellulose, Magnesium Stearate, Silicon Dioxide. Contains NO: Gluten, sugar, dairy products, yeast, wheat, artificial color, artificial flavoring or preservatives. Take 1 capsule 3 times daily with a glass of water and/or meal. Persons with severe joint conditions may take 2 capsules 3 times daily (6 capsules daily) for the first 2 weeks or until joint condition improves, then transition to 3 capsules daily.